Rangers right-hander Matt Bush is not going to make it back to the MLB roster this season, Evan Grant of the Dallas Morning News reports on Twitter. Elbow issues forced him to the disabled list in the middle of June. Though Bush is said to be working through a throwing progression, he says that there simply won’t be time for him to ramp up fully during the month of September. It certainly doesn’t help that he wouldn’t be able to utilize the club’s minor-league affiliates for rehab work. Most of all, the Rangers likely see little reason to push it in the midst of a cellar-dwelling campaign. Things have gone about as well for the 32-year-old Bush as they have for the rest of the roster. He carries only a 4.70 ERA with 7.4 K/9 and 5.5 BB/9 in 23 innings. Needless to say, that’s a disappointing set of results for the 2004 first overall pick, though his story remains fascinating. Bush had derailed his career with off-field choices, but remarkably reached the majors with the Texas club in 2016. From an on-field perspective, though, there’s now reason for the Rangers to wonder what contribution they’ll receive from Bush in 2019. He was outstanding in his first MLB campaign, turning in 61 2/3 innings of 2.48 ERA pitching. Despite some downturns in his output in the following season, Bush still showed many of the same skills (12.3% swinging-strike rate, 97.9 mph average fastball). In his limited action in 2018, Bush lost a tick on his heater, saw his swinging-strike rate drop to 9.4%, and gave up a whopping 52.1% hard contact rate. From the organization’s perspective, the silver lining of this lost campaign is what it means for Bush’s cost. He’ll enter the offseason with 2.143 years of service. We don’t yet know where the Super Two line will land, but Bush would be a likely candidate to exceed it based upon recent outcomes. Despite his 2016-17 output, this meager platform season will likely lead to quite a manageable arbitration salary, which not only ought to make Bush a cheap player to keep in 2019 but will also make for a lower salary floor to build off of in future seasons. Of course, the Texas club would surely rather have paid up for a version of Bush that looked like a healthy, high-quality, high-leverage relief pitcher. Whether he can return to that form remains to be seen, thus adding another question mark to the Rangers’ pitching staff as the offseason approaches. The Rangers are set to move right-hander Matt Bush back to the bullpen role in which he thrived for much of the 2016-17 seasons, writes Evan Grant of the Dallas Morning News. The 32-year-old righty had been in the mix for a rotation spot to this point, but he expressed peace of mind with the decision to return to the ’pen, indicating that he’s “very happy” to have clarity over his role and that he feels the team made the right decision. As Grant notes, the decision likely means Texas’ rotation will consist of Cole Hamels, Matt Moore, Doug Fister and Mike Minor early in the year, with Martin Perez able to join that quartet as early as his health permits. Jesse Chavez is on hand as a long relief option, and Bartolo Colon could have an easy path to cracking the big league roster if Perez needs some DL time early in the year. 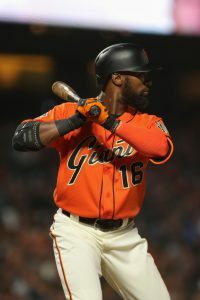 The Athletics’ offseason moves and budding farm system have made them into a more interesting club than many are giving them credit for, opines ESPN’s Jerry Crasnick. The pairing of Matt Chapman and Matt Olson at the team’s infield corners gives them one of the game’s great young defensive players — one AL evaluator from another club likened Chapman’s glove to that of Nolan Arenado and Manny Machado — and an impressive young slugger whose fast rise in the big leagues mirrored that of Phillies slugger Rhys Hoskins. (Olson hit .259/.352/.651 with 24 homers in 216 plate appearances.) Paired with one of the game’s most under-the-radar sluggers (Khris Davis) and interesting upper-level prospects like left-hander A.J. Puk, the A’s could surprise some in 2018, even if they’re not likely to vault up into to division contention just yet. Crasnick spoke to GM David Forst, manager Bob Melvin and scouts from other clubs about the improving young A’s club. While there’s still plenty of time left in camp, there’s some rising unease within the Diamondbacks organization surrounding Zack Greinke, as Nick Piecoro of the Arizona Republic reports. Greinke himself noted that he’s somewhat “nervous” that he won’t be working in his typical low-nineties range by the start of the season given that he’s still sitting in the mid-eighties with his fastball. Picking up on those comments, in the context of the team’s plans for an Opening Day starter, skipper Torey Lovullo acknowledged being “concerned about where [Greinke is] at” and said he plans to “let everything kind of settle down” before the club decides who’ll take the ball to open the season. Of course, it doesn’t matter as much whether Greinke throws the first pitch as it does that he’s at full strength. As to that matter, Lovullo suggested he’s nowhere near panicking over the veteran hurler. Instead, he stressed, his “concern is minimal” that Greinke will ultimately get up to speed and be prepared to attempt a repeat of a strong 2017 effort.